New Ulm is a community with so many good things going for it! Great city management, a thriving business community, vibrant non-profits filling cultural and social service needs, quality health care, extensive education for a variety of ages and more parks than most other communities! However, to continue being an attractive community to new business and new residents takes deliberate conversations and planning. What works fine today may need to be reworked for tomorrow's success - hence the need for community visioning. 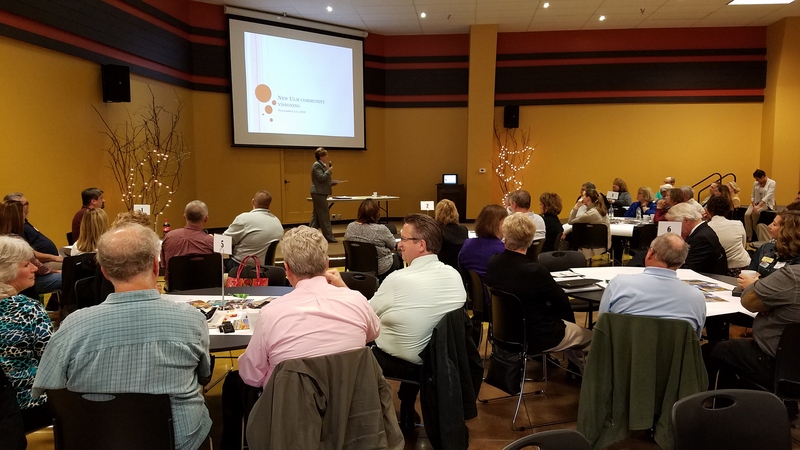 A small group of community leaders led the effort for NU2020 and our meetings convened in early of November 2016 with approximately 90 attendees. On this page, you will find the ideas that were brought forward as projects for the community and supporting documents from the day. Our format is to provide each of the projects with a committee for progress and communication. None of the projects can be completed in a vacuum, but need a variety of representatives to really pull it forward. Watch this page for continuing information as we move into NU2020! Revitalize Downtown (Making it a two-way street again). Attendees at the Visioning Conference were asked to list what they think New Ulm's Strengths, Values, and Opportunities are. These answers were compiled into word clouds. The clouds give greater prominence to words that appeared more frequently in the responses.